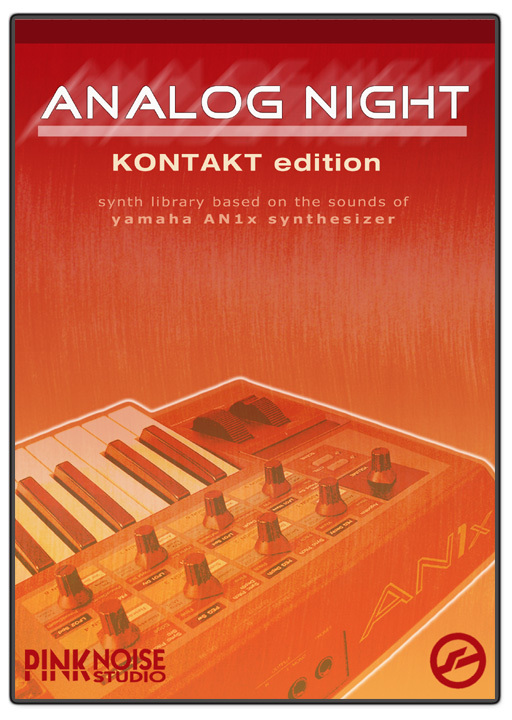 ANALOG NIGHT is a Kontakt sound library* based on the best sounds of the famous AN1x synthesizer from Yamaha. ANALOG NIGHT was originally released by Eric Corminier (Reason.Fan) for propellerhead's REASON. Now it has been entirely rebuilt starting from the scratch. The new Kontakt edition provides vivid, dynamic and rich-sounding leads, bass, polyphonic keys and pads, giving you a new powerful synth in your favourite sampler. 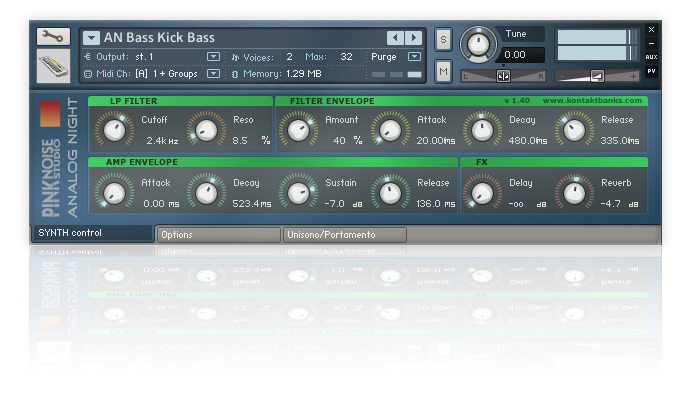 * please note: our Kontakt banks require the full retail version of Kontakt 3.5 (or more recent version), they are not compatible with the free Kontakt Player. Analog Night is available in Reason refill format as well. The following simplified MIDI implementation chart is designed as a quick reference guide that allows you to identify at a glance which MIDI control change (CC) messages are implemented by ANALOG NIGHT in Kontakt.